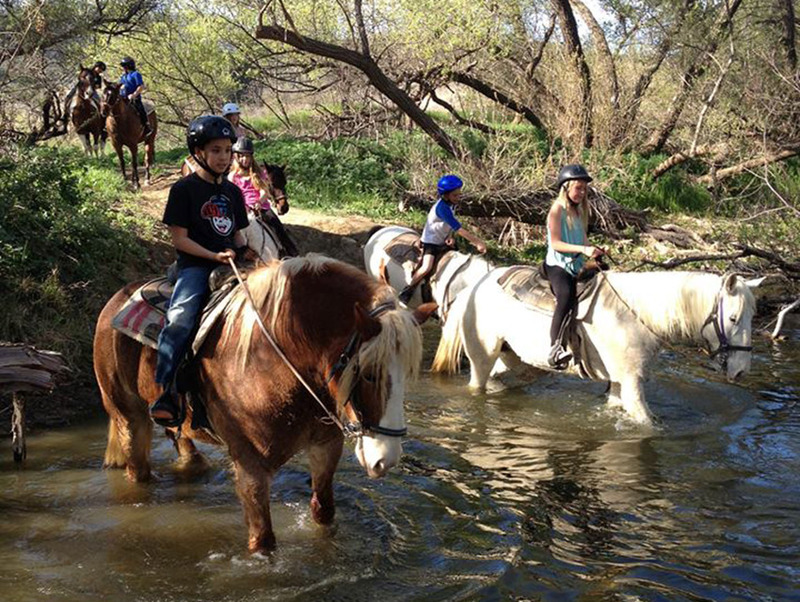 Trade panoramas of the Pacific for scenes along the Paramount Ranch trail with MALIBU RIDERS. The ranch is an active film set designed to look like a town from the Old West: Along its dusty streets sit saloons, churches, and inns (keep your eyes peeled for a shoot-out). Hollywood fades away as you enter the oak-covered valleys of the Santa Monica Mountains, and the hour-long trek ends with the well-kept horses fording a creek beneath a canopy of over-grown trees.